Availability: This product is discontinued and no longer available for purchase. For alternatives browse our Punch Bags department. The Exigo 5ft heavy punch bag weighs 45kg (99lbs) and comes complete with a 6 chain swivel hanging set. It is machine filled with textiles to ensure increased shock absorption and a firm feel. The punch bag is suitable for boxing, Thai boxing and MMA training and features a heavy duty zip top providing extra durability. In addition, it is made from high quality heavy split leather. 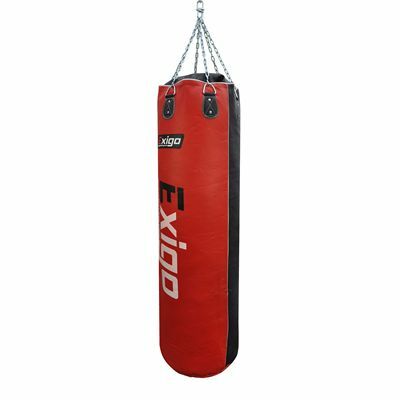 for submitting product review about Exigo 5ft Leather Heavy Punch Bag.